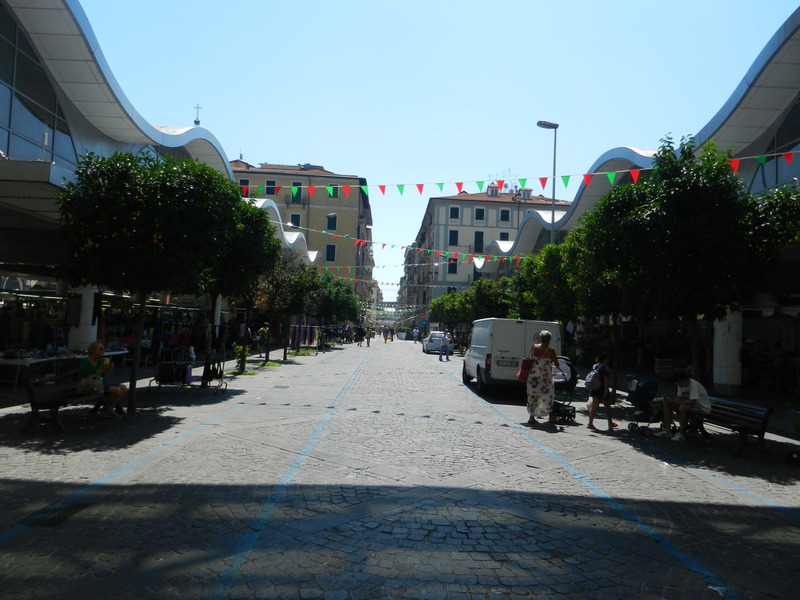 What to visit in the city of La Spezia? Are there any original attractions not to be missed? 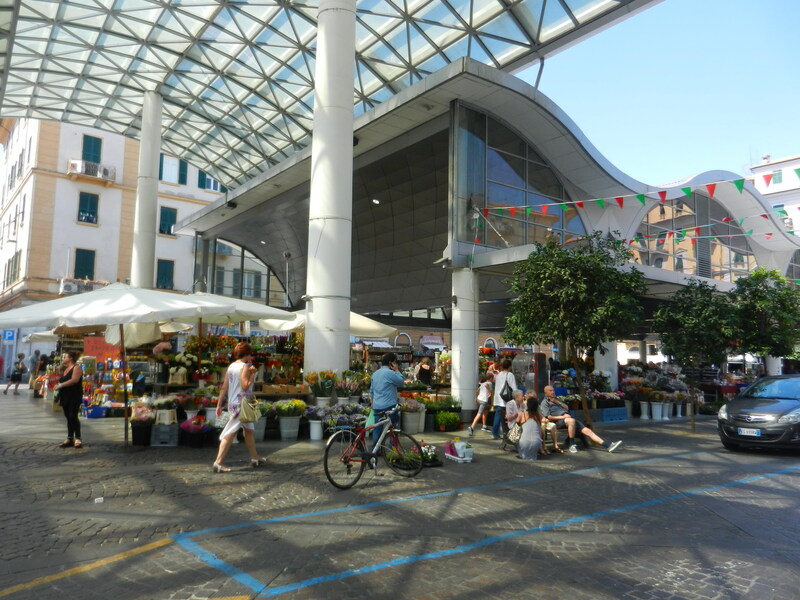 Here is one that we want to recommend and that is particularly appreciated by visitors: the covered market square (Piazza Cavour). Shapes, tastes, smells: a show for sight, smell and palate. Not everyone knows it, but it gets the attention of every tourist who makes a stop in La Spezia and from the city goes to the Cinque Terre, thanks also to the location in the heart of the historic center: we are talking about the covered market of Piazza Cavour (that the La Spezia's citizens call the "market square"), where some of the best local products are sold (and not only). Located at the end of the pedestrian area of Corso Cavour (one of the main street of the city), on the opposite side of the public gardens and the equestrian statue of Garibaldi, is a reference point for those who love Italian and Ligurian cuisine, with its raw materials of high quality and often farm to table, and offers to every curious who decides explore its stands an experience that involves all the senses. Cold cuts, cheeses - among which the excellent ones of Val di Vara (https://bit.ly/2MekfH4), the organic valley -, meat, fruit and vegetables, baked goods and not only: among the main attractions of the square there are flowers, which with their colors and their shapes follow the trend of the seasons and are flanked by equally spectacular potted plants, and the most fascinating section: the fish market. Located under the canopy on the Via Roma side, it occupies about half of it, and every morning offers to customers the best of the products caught in the Gulf of Poets (and beyond). 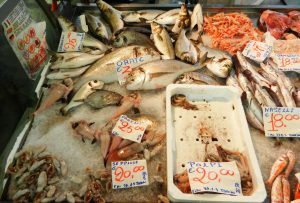 Among the most popular foodstuff are the "muscoli" (mussels) and farmed oysters, anchovies and sea bream, most coming from the waters of the Gulf of La Spezia, but also spectacular specimens of tuna and swordfish and shellfish and seafood. 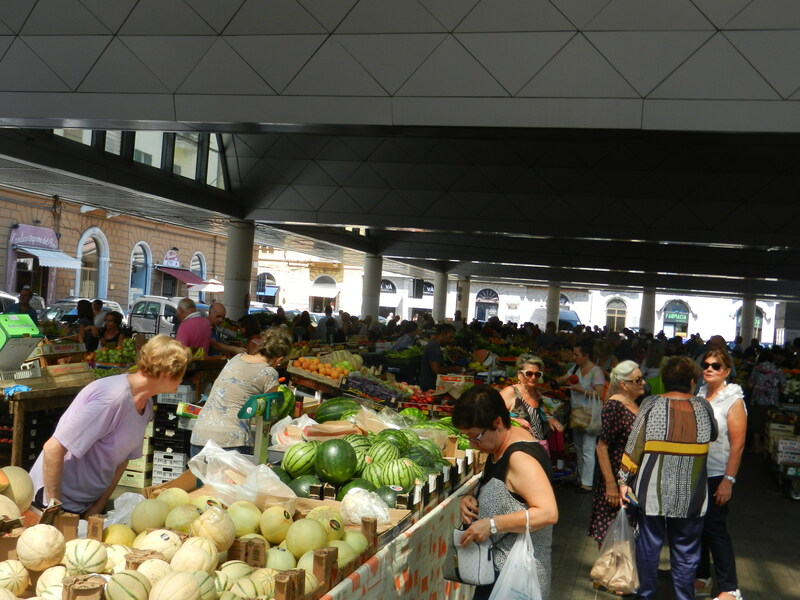 If during your stay in Liguria you have chosen an apartment, such as the "Monfalcone" of Arbaspàa, recently renovated (https://bit.ly/2LEWagm), do your shopping and have fun in the kitchen! Alternatively, you can buy ready-made products for an impromptu and tasty walking food. 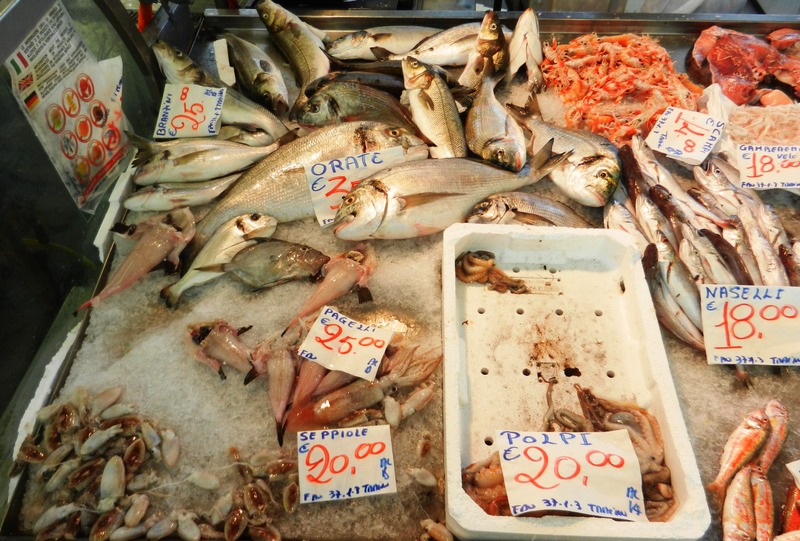 And to live an all-round culinary experience, which will start with shopping at the market and will continue in the kitchen under the guidance of a professional chef, try our tour "Cooking class with fish specialties and visit to the market"; more info at this address: https://bit.ly/2O1s1Vo. Current Piazza Cavour, with a modern architecture inspired by the waves of the sea and the sails of the sailors, is only the latest evolution of the market. Two big sheds and one littlest that links them, made of steel and glass, are today's face of this important point of the historical center, but we have come up to here passing through changes. They remain in the collective memory of La Spezia's citizens, thanks also to the many photographs handed down to the present day, the two marvelous Art Nouveau's pavilions (end of 19th Century) typical of this city that before the Second World War had been the cradle of this kind of art. And just during the conflict, one of the two structures was destroyed; the other remained standing until the end of the Sixties, to then be replaced by metal shuffers and in 2005, by the current ones in 2005. The market remains open from early morning until about 2pm from Monday to Saturday; then, most of the street vendors bring their workstations back to the warehouses (only some of the fish remain closed on site) and in the afternoon it is a pedestrian zone - except the central lane that separates the two canopies, where they can park and transit the cars -, while in the evening turns into parking for the cars of many who go to the historic center (unofficial park). Every first Sunday of the month, except in August, the square hosts the "Cercantico", an antiques market where to buy and sell objects, jewels, accessories, books, comics, furnitures, etc. 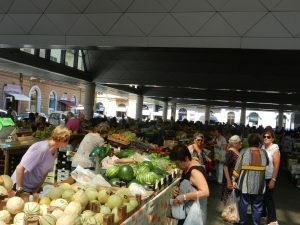 In addition, sporadic events of great appeal are organized in Piazza Cavour, such as "La fattoria in città" ("The farm in the city), in which breeders and farmers bring their products, their world and even some of their beautiful animals in the heart of La Spezia.